My husband has been traveling a lot lately and it’s made me aware of something I’d nearly forgotten about: I don’t feel like cooking when I’m on my own. When Kurt is home, I cook constantly, making sure we have healthy, tasty food to eat. When I’m by myself? I stare into the cupboard looking for a meal-in-a-can, even though my food sensitivities make the majority of pre-packaged foods off-limits. I know I need a healthy meal, just like Kurt, but it seems like more work than it’s worth to cook for one. I buy myself flowers when I feel run down. When it comes to nurturing, we think of caring for others: children, spouses, family members, friends. To nurture something is to feed it. Feeding of the body, the mind, and the spirit all apply. But we can’t give away what we don’t have. We have to be full up ourselves in order to feed others. 1) It’s harder to nurture others when we are not healthy and strong ourselves. This is the “put your own oxygen mask on first” rule in its simplest and most profound form. We want to believe that we can do anything, but human beings have limitations. We are subject to the laws of physics and biology. We need to eat, drink, and sleep in order to function, and the choices we make about when and what we eat, how much we drink, and how much rest we get determine how effective we are. We will do our best for others when we take care of ourselves first. 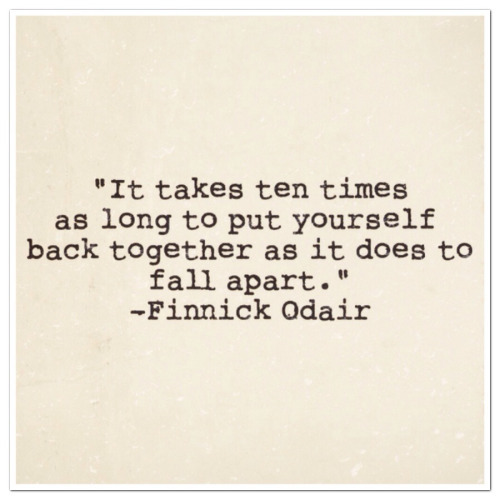 2) It’s hard to pull ourselves back together after we fall apart. For many years, I was a hard-working and productive employee, but I didn’t take good care of myself. I got so sick and exhausted that I was put on disability and ultimately lost my job. Because I wasn’t taking care of myself, I became unable to help others. I’ve spent the last nine years slowly rebuilding my health, learning how to nurture myself so I can be a productive human being again. I value every lesson I’ve learned and am grateful for my experience, but I wouldn’t wish this long and frustrating process on anyone. Better to take care of yourself from the start than to have to rebuild yourself from scratch. 3) We deserve the same high quality of care we give others. I need to eat a healthy, attractive, and tasty meal as much as Kurt does. In some senses, I need it more, because I get bored with my food easily and Kurt doesn’t. He has a food-is-fuel mentality. He loves good cooking, but he can eat the same thing day after day after day. If I get bored, I start looking for more interesting options, which usually translates as “food that makes me really sick”. 4) It’s good practice. Repetitive activities like knitting and sewing can recharge my batteries just as spending time in a natural setting does when I’m feeling more energetic. Reading, hot baths, and doodling help me rest when I am worn out. Sometimes little things — fresh flowers or a scented candle — provide a nourishing drip-drip-drip of beauty to help refill me when I’m tapped out. Knowing what helps me to recharge enables me to know what might be nurturing for others. Even if it doesn’t, it enables me take better care of myself. Are you better at nurturing yourself or others? What things do you do to restore yourself when you are feeling worn out? Today, members of 1000 Voices of Compassion are blogging about nurturing. 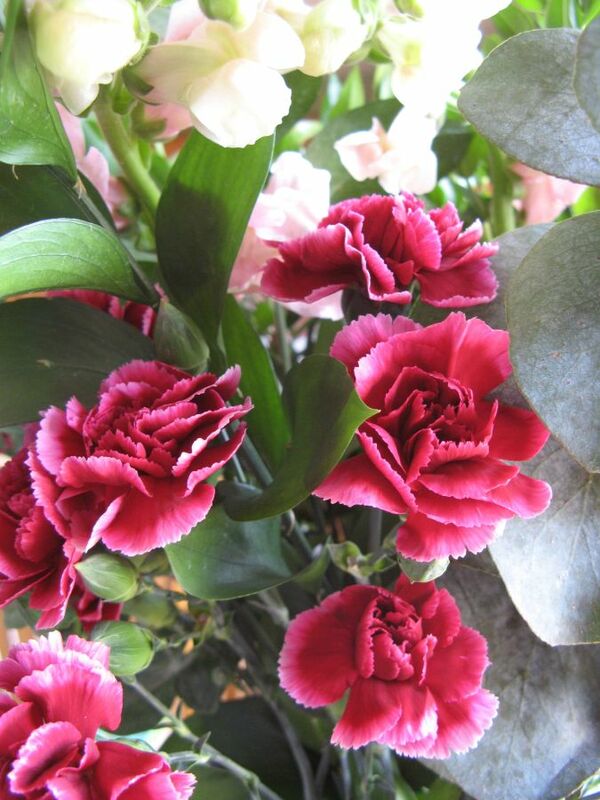 To see a list of other posts on nurturing and compassion, click here. Glad you liked it! I was hoping this didn’t just come across as a “duh! of course!” topic and figured at least for some people it won’t, because I had to learn this lesson the hard way. More nurturing for everyone sounds good to me. So many people look like they are struggling. So right about self-compassion (I’m really happy that so many are choosing this topic!)! I too find myself making ramen noodles or something really quick and not too healthy when I’m cooking for myself! I am always relieved to hear I am not the only one struggling with something like this. Here’s to making healthier choices in the future (for both of us! ).